Remember the '70s? Way back then, IT was a mainframe that sat in some room and only a few people had a key. Flash forward a decade, and IT was a limited set of systems irrelevant to the vast majority of employees and customers. But today, all of the sudden, technology belongs to everyone. Because of the suddenness of this revolution in technology adoption, most IT organizations have not had enough time to evolve into a "comfortable integration" with the rest of the company. This lack of comfortable integration has led to confusion over who is truly accountable for the return on technology investments, how much influence IT leaders should have over a company's business strategy, and whether CEOs need to hire Chief Digital Officers onto their senior leadership teams. Through interviews with dozens of CIOs, Heller has created a snapshot of what CIOs are doing to lead IT in a climate where technology belongs to everyone. She addresses how CIOs are changing their operating models, their approaches to talent development, and their assessment of the new IT provider marketplace. Most importantly, Heller defines the top ten skills and behaviors that CIOs will need to develop if they are going to be successful in an ever changing landscape. As a master storyteller, Heller incorporates philosophy, humor, and pragmatic advice into a book that both informs and entertains. Martha Heller is one of the most widely followed voices on IT leadership and the role of the CIO. She has been a CIO magazine columnist since 1999, and is also the author of The CIO Paradox: Battling the Contradictions of IT Leadership (Bibliomotion, 2012). Martha is president of Heller Search Associates, an executive recruiting firm that specializes in IT leadership positions nationwide across all industries. She has spent 15 years working with the CIO community at the highest levels. Based on this experience and extensive interviews, outreach, and her work as an executive recruiter, Martha has distilled empirically backed insights into what it takes today to be an IT executive capable of driving transformation. 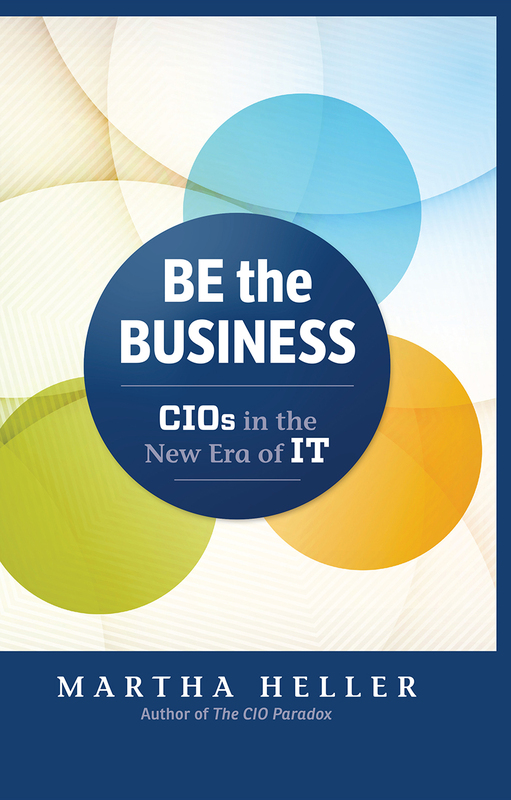 In 2004, Martha founded the CIO Executive Council, CIO magazine's professional organization for CIOs. In addition to her blog on CIO.com, Martha engages extensively with the technology executive community through social media and her widely read e-newsletter, "The Heller Report." Martha is a highly sought after public speaker, regularly addressing and engaging with members of the IT profession at executive events held by The Research Board, the National Retail Federation, the Technology Business Management Council, Forrester, Harvard University, MIT, CIO magazine, ServiceNow, Box, and Cisco.